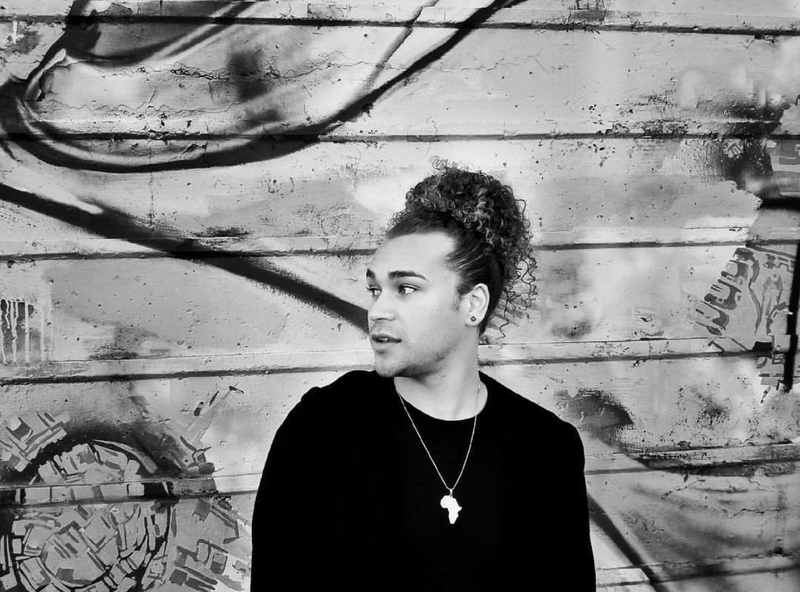 You may already be familiar with our next #IndieArtistSpotlight DeAndre Brackensick, who at the age of 16 became a top 8 finalist on the 11th season of American Idol. DeAndre has since embarked on a successful music career as an independent artist touring in Australia and even selling out his first date in New Zeland. DeAndre's talents have afforded him the opportunity to perform and be a supporting act with artists such as John Legend, Michelle Williams, and Boyz II Men. This past July, DeAndre released his highly anticipated debut album 'Black Denim." 'RnB Junkie Official' had the pleasure of interviewing DeAndre Brackensick. DeAndre discussed American Idol, his evolution in music, his favorite era of R&B, his debut album 'Black Denim,' and more. 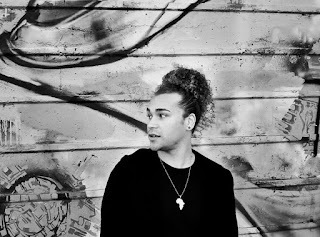 Check out our interview with our #IndieArtistSpotlight DeAndre Brackensick below. How has your music and sound evolved since we first saw you on ‘American Idol’? Well I was 16/17 on the show and just started getting into singing on a normal, so you all got the beginning stages of my voice on Idol. I wouldn’t say it changed just evolved, at least vocally, my range and control have improved. And have spent the last 4-5 years developing my style. What lessons have you learned from competing on ‘American Idol’ that you apply to your career now? I learned a lot about the industry. The good and bad sides of it. I’ve learned how to understand contracts and how easy it is to get screwed over if you let someone. More than anything I’ve learned what I do and don’t like; and know how to go about doing what I like while staying astray of what doesn’t work for me in my music. For those who aren’t familiar with your work, how would you describe your sound? I’d say my sound is R&B. A nice vibe that sits in a groove and will keep you there. Nothing too hype and nothin too dragged out. Who are some artists and producers who have influenced you? Artists that influence me are Prince, Patti LaBelle, Smokey Robinson, Tweet, Rachelle Ferrell, Phillip Bailey, The Stylistics, Durand Burnarr, Stevie Nicks, YEBBA and Maxwell. I’d have to say 80’s and 90’s. Like The Isley Brothers, Anita Baker, The Spinners, New Edition, The Whispers, Chaka Khan, Al Green, so on an so forth. The choices in chord progressions and lyrics and melodies. That sound is timeless to me, no matter where you’re at no matter what decade you’re in; one of those greats play, and you’ll be singing along or bobbing your head. You’ve recently released your debut album ‘Black Denim.’ Can you share with us what inspired the album and its title? Black denim is just a compilation of my life experiences into songs. I find beauty, stillness, and strength in the color black. And as far as denim, if you sit and look at the fabric itself, you see not every thread is the same consistency, some thicker and some thinner than others, but when woven together it makes a beautiful and durable fabric. So I see those threads as my life experiences, my songs. A thread of hurt, a thread of love, a thread of self-doubt, a thread of achievement, all these experiences of different consistencies woven together to make my life. What was the creative process like during the recording of ‘Black Denim’? The album is a collection of songs that I wrote within the last two years, of experiences of my own. I decided it’s time I put a full project out that was completely me, written by me, sounded like me, and repressed me as an artist. I’m an experienced writer; all my songs are personal stories. I’m selfish when I write, being that I write songs to help me get through what I’m feeling of dealing with. When I write, I don’t write with anyone in mind, nor the intention of moving someone or writing a radio hit. It’s for me. Now with saying that when I put [music] out for people to hear I do want them to be moved and love what I’m presenting, hopefully, help them with what they’re going through or at the very least take them out of their reality for 3 mins and 30 seconds or however long the song is [laughs]. But the initial writing process I write for me cause they’re all my stories. The sequence of your album is genius telling a story with the song placements of tying one into another. From ‘Thread By Thread’ to ‘Shoulda Known Better’ was perfection. How much involvement did you have with this process? Thank you so much! I was 100%, involved in it. Like I said, I wrote all my music, all the chords, and all the lyrics, with the exception of 'Catch' which was co-written with my dear friend singer/ songwriter IZIK. So when it came down to the order, I kinda went off the vibe of the song rather than the lyrical content. I needed it to flow and feel right going into each other. You can’t have a song that feels like heartbreak then goes straight into an upbeat jam about love [laughs], don’t make sense. It’s like a conversation, gotta segway into the next topic smoothly. What is one thing you would want someone to walk away with after listening to your project? I want people to feel lighter. And I ain’t talking about weight. I mean I want whatever they’re going through to be lifted or released even if just a little bit. I want their spirit to be light. I can’t expect people to relate to music cause we don’t all speak the same language, but If they’re moved by it, whether it be lyrical, melodically, or sonically then I feel like I accomplished what was needed to be done. We see that you’ll be embarking on a tour in two weeks, starting off in Hawaii. What is it that you love about touring? I love seeing new people and sharing my music. I’m proud of my work, so I want people to hear it live and in person. Love seeing all the different people around the world that support my songs and my sound. It’s humbling and gratifying. What advice would you give to other independent artists who are seeking to pursue a career in this industry? Know your worth and know who you are as an artist. Don’t lose it in pursuit of fame or compromise it in pursuit of money. Where can our followers find your music and follow you on social media? Can find my music on all platforms iTunes, Apple Music, Amazon Music, Spotify, Pandora, Google Play, and Tidal.